Stock plastic or rubber intercooler pipes can expand or crack under high boost levels. In addition to this, stock pipes have many bends which in some places are very tight radius which causes much resistance and pressure drop. 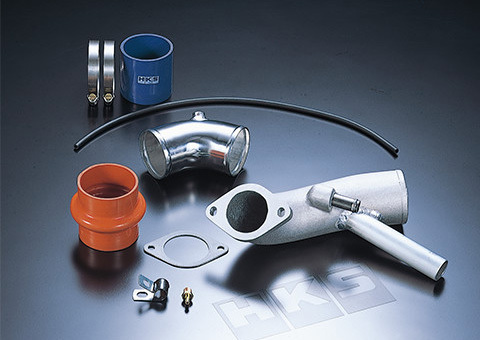 HKS Piping kits are made of aluminum for increased durability and safety. 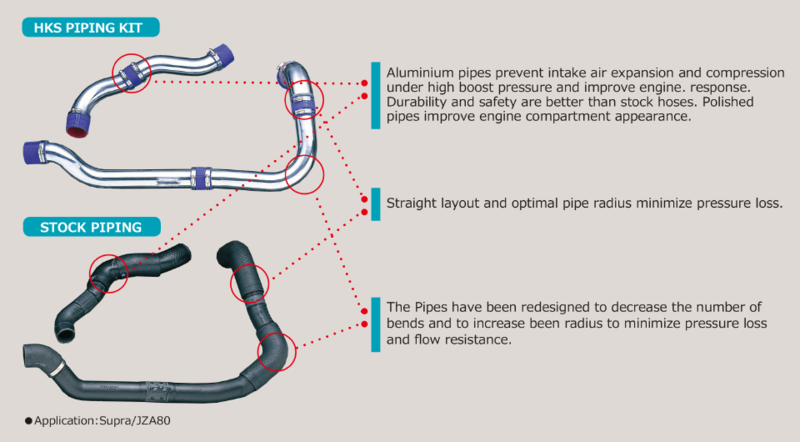 The pipes have been redesigned to decrease the number of bends and to increase bend radius to minimize pressure loss and flow resistance. Aluminum Pipes increase durability and safety. Higher durability than the stock plastic pipes and increased safety can prevent possible damage to the pipe. Aluminum Pipes improve engine response. 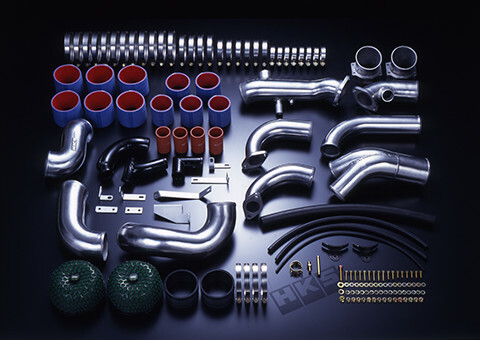 Highly durable aluminum pipes prevent pipes’ deforming under high boost pressure and intake air expansion and compression so the engine response can be improved. Buff, Alumite, and Plating Finished Pipes improve engine compartment appearance. Buff, Alumite, and plating finished aluminum pipes can make the engine compartment appearance more attractive. Straight Layout and Appropriate Pipes’ Radius minimize pressure loss. High Pressure Resistant Hoses improves intercooler’s performance. Installing high pressure resistance hoses to joint parts can protect the pipes from heat and pressure, so full performance of the intercooler can be brought out. By having almost same layout as the stock layout, installation procedure is very simple. 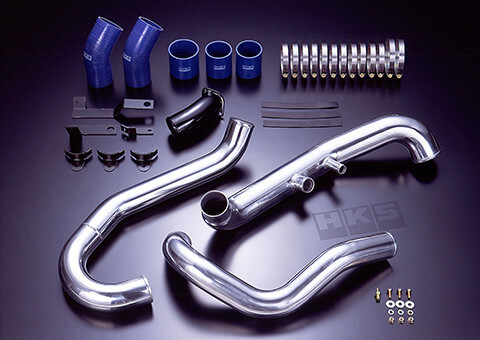 HKS Piping Kit can be installed as the same layout of the stock piping. So, no complicated installation procedure is required. A special kit made for GT-R models. GT-R have front mount intercooler as stock and with this kit, both performance and appearance will improve. Piping kit which replaces the pipes from the turbocharger to intercooler and the intercooler to inlet manifold. A convenient kit which allows the replacement of boost pipes which can frequently pop off in higher boost use and is recommended for tuning where the stock intercooler is still used. Piping kit which replaces the stock pipes between the air cleaner and turbocharger. Stock suction pipes can often become compressed or crushed. These aluminum pipe kits prevent this to increase intake air flow efficiency.